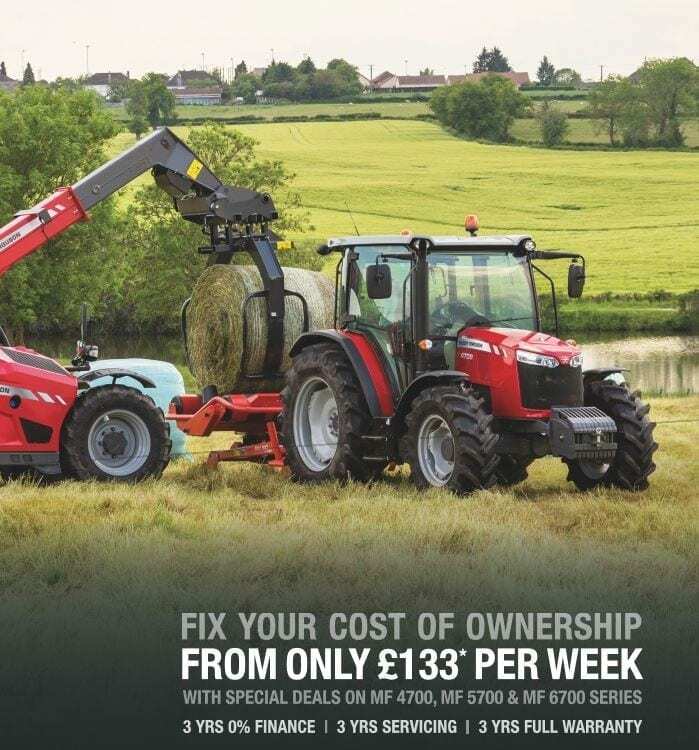 The full range of Global tractors are available on special offer from C&O from just £133 per week + VAT*, including 3 years 0% finance, 3 years servicing and 3 years full warranty. Massey Ferguson‘s Global tractors were designed to deliver a range of high performance, heavy duty tractors, providing exceptional efficiency for farmers across the world. The Global range include 4700, 5700 and 6700 series models. Now really is the time to Go Global with C&O – Talk to your C&O sales person about your next tractor. *£133 per week based on MF 4708 & 936X Loader. Subject to Terms & Conditions and VAT.